Is it possible to earn money by selling photo online? what a joke!! You must thinking this but now this become reality with requirement of quality photos in online world and you do not need to go into physical market or need your expertise in marketing to sell photos but you can easily sell in online sites by uploading captured photo. 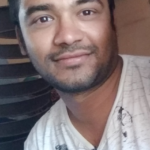 We all have high megapixel mobile phone or camera and also like to capture every special place or moment we come across..so why not this special photos which you have captured become your earning source. Yes !!! Like many ways of earning online, your photos can also earn for you from few bucks to thousands dollar very easily. But questions must comes in your mind where can I sell these photos? who required this type of photos? How they use these photos? Then obvious You might not aware but many people required photos for their magazines, brochures, posters, for blogs, websites and they can pay few bucks as royalty for right to use these pictures. Note: People paying you for your good quality photos not good quantity of photos so before upload please remember this thing. Many people searching on google how to make money with stock photography and how to earn money with photography but some time they do not get expected sites So here I am going to list you top best site to sell photo online & earn money. This is best sites to sell photo online and you would own or control the copyright to all content when you sell images to Shutterstock and Earn up to 30% of the sell price of your content. 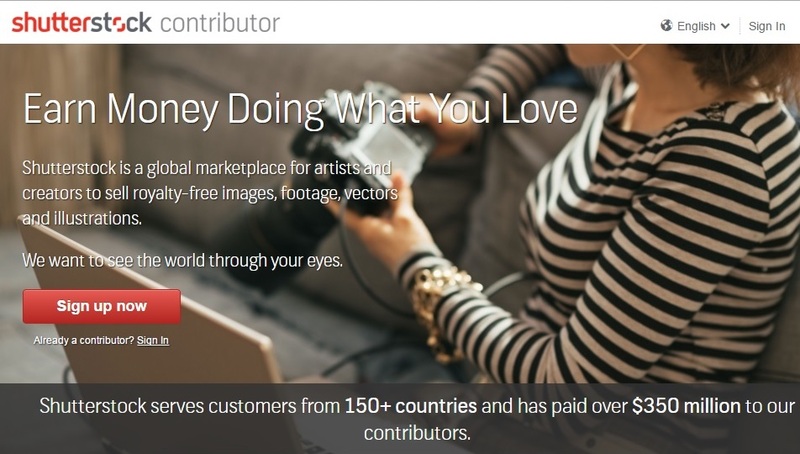 Till now Shutterstock has paid over $350 million to its contributors and serve customer in more than 150 countries.It is the global market for all creative to sell images, footage, vectors and illustrations. You will be credited with earnings on each time one of your approved photos is downloaded by a Shutterstock subscriber. Professional photographer consider this as best site to sell photos online. Initial review process for images can take up to 10 business days. All contributor need to verify their address and identity by uploading an official government-issued photo identification. This site allow everyone to sell their photos, images or videos easily. For each transition the contributor receives 25-50% Revenue Share and which is calculated based on the net sales amount for the transaction. Exclusive files receive extra 10% bonus while exclusive contributor will get 60% royalty of selling. You can see below image of all price slab of level 1 and level 5. You can request payment once it reach $100. 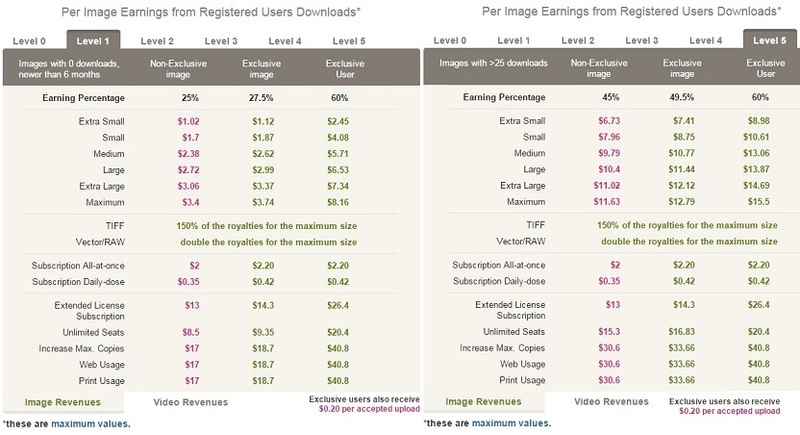 Once it get downloaded high number then move to higher level which increasing your image/video selling price. 3. 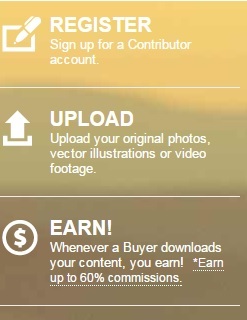 Fotolia– Sell to the world’s largest creative community! Here you sell photos & video across all Adobe platforms to reach millions of users without any marketing effort !! You can earn royalty upto 63% of the sales price of each contribution. so if you have large number of images then you can make thousand of dollars every month while sleeping. as you know it is Adobe platform so you should consider this place also as best site to sell photos online. Please remember this platform have more than 72 million images so your earning only depends on creativity as well as quality. Below you can check price list. Photo must be in JPEG format only. Minimum photo resolution should be 2400 x 1600 pixels (4MP) . File size should not higher than 30 MB. Files must not be re-sized (upload files in their original resolution). Images must not include logos or protected trademarks. You can learn more about royalty by below table. 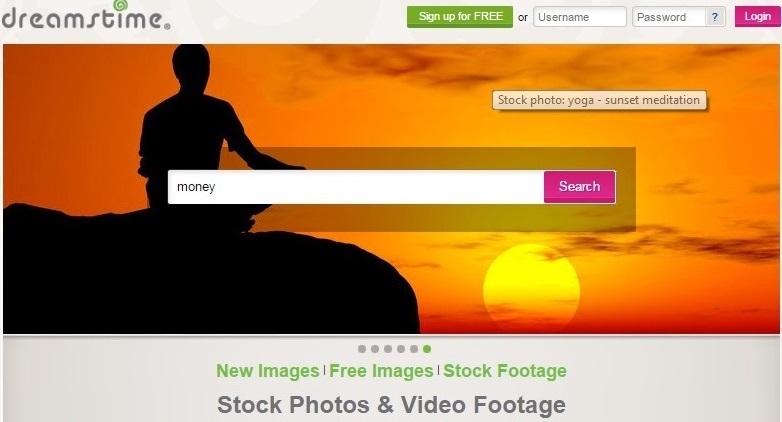 You can also check below steps to join Istockphoto and earn money. To become exclusive contributor your photo should be downloaded a fixed number of time. Pay you money within 30 days after the end of each month in which sale was made. Payment made once $100 reached. Here you can earn up to 60% of selling price as royalty and Earning of each Contributor depend on Your Contributor Level. Below you can find commission percentage. You can contribute Footage, Audio or EVO collections. 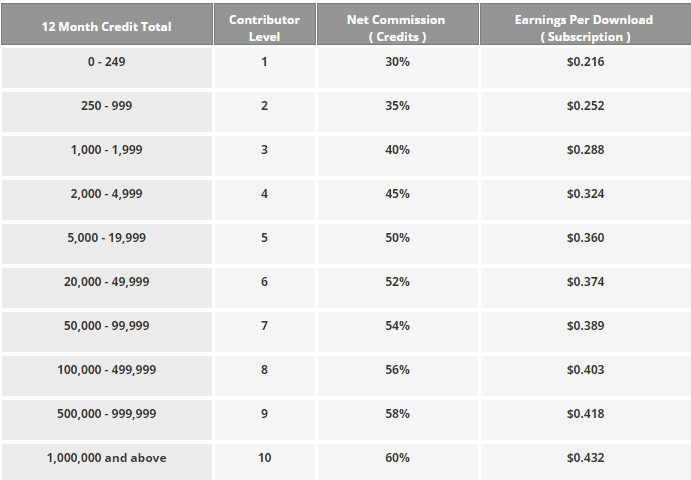 Below you can see process of joining 123rf as contributor. You can use Payoneer, PayPal [How does paypal work: Basic guide] or Moneybookers Email Address to receive payments. This platform allow you to upload any number of files by direct FTP or Alamy upload (web-based online upload tool) and you can even send images to office address in hard disk. Here you will get 50% on all direct sales and if you are student then you can even get 100% commission. For student they have some different scenario you can check student earning by photography to know more about it. Below you can find all steps to use Alamy. File should be JPEG formate. Size of file file over 17MB when uncompressed and have a compressed JPEG size of 3-5 MB . Each image should have quality even single file without quality then it lose your all images. You will be paid once your payment reached $75 or more. Hope you like this post and start making money by selling photos online . Don’t upset if it take long time to start earning but once start it give you life time royalty.